NCI sells rugged and dependable ergonomic workplace Cleanroom and Cleanroom ESD Chairs for use as clean room furniture in controlled environments, static control areas, and laboratories. Our commitment to great customer service, excellent value, and the highest cleanroom furniture quality combined with our sample program makes purchasing our cleanroom chairs a "no risk" decision. Our clean room chairs are designed for hours of productivity and are backed with warranties up to 12 years. 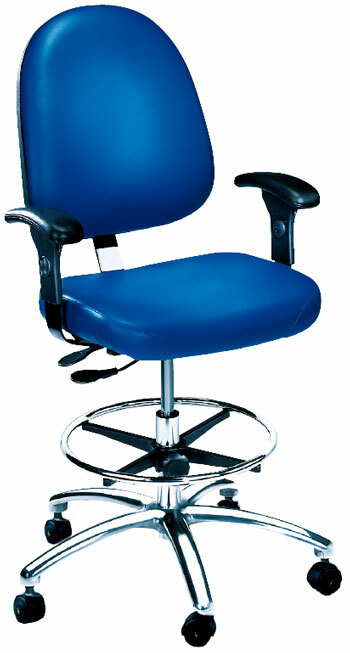 Customize your Cleanroom Chairs with options, upholsteries and finishes. Our clean room furniture possibilities are nearly endless! Browse the categories below or contact us with questions.